1960's Anti-Nixon parody poster making fun of his famous campaign slogan "Nixon's the One". 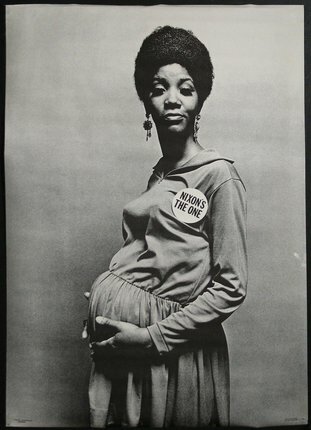 In this case "Nixon's the One... who knocked me up and left me to fend for myself." A biting criticism of Nixon's Southern Strategy stoking racist sentiments during his election.